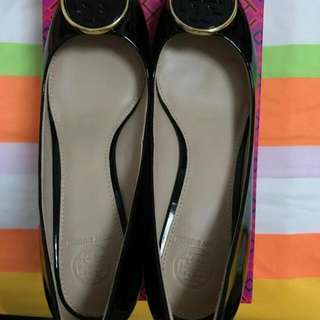 rae13 Good seller:) Great seller to deal with! .mantra. 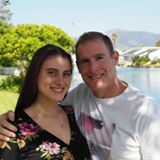 Excellent seller to deal with, very flexible and kind would highly reccomend this seller. storm.savannah Great seller to deal with! 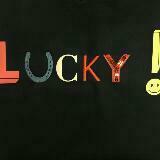 Quick communication! Would definitely buy from again. 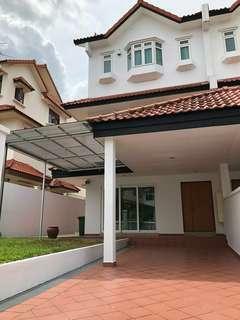 Larger room with a private attached bathroom on the third floor of a terrace house, just 7 minutes walk to Serangoon MRT and NEX mall. Furnished with aircon, queen bed, built-in wardrobe, cabinet, desk and chair. 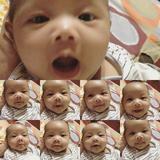 Rent quoted is for single occupant only, inclusive of utilities and wifi. 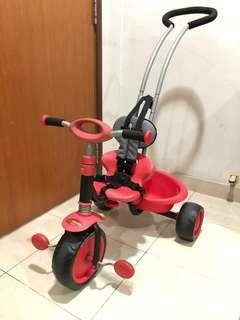 Toddler tricycle in excellent condition as it was seldom used and only used indoors. 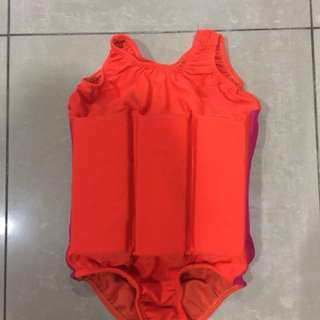 Seat comes with a harness, and handle can be detached as child grows older and more confident in riding. Collect in Serangoon Central. 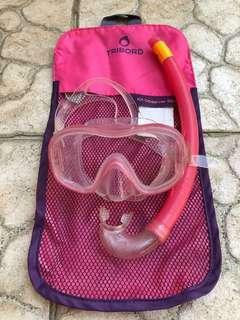 Snorkel and mask (size: S) in very good condition, only used once a year. Suitable for 6-9 years old. 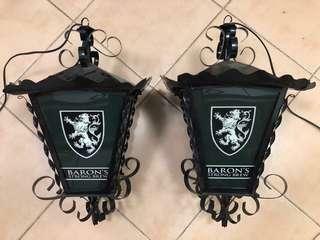 Clearing a pair of medieval looking, tavern style lantern lights with Baron’s Strong Brew branding. Great for a beer garden look. Taken out from an English pub many years ago and carefully kept in storage. 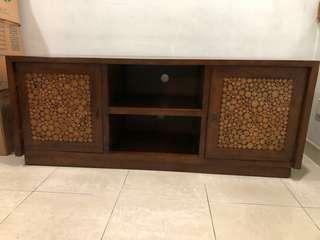 Comes with all wiring and in working condition. Collect in Serangoon Central. 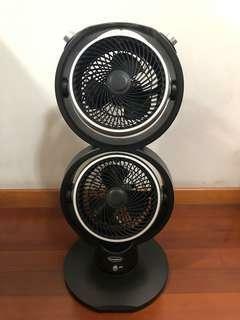 Clearing an occasionally used, Europace 9” dual turbo oscillating fan in excellent condition. Just cleaned up for sale. Features 90 degree oscillation, 3 speeds powerful airflow and blows in two different directions if desired. Collect in Serangoon Central. 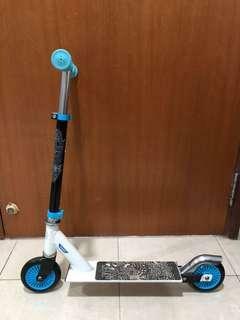 Clearing a child’s kick scooter, in excellent condition. Suitable for children between 95 cm to 1.20 m tall. Collect in Serangoon Central. Very clean as only used indoors for about two weeks. 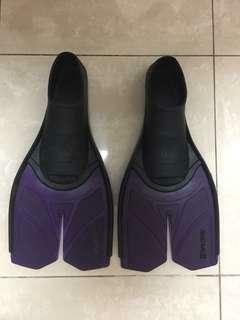 The leg caps are missing and there is a slight tear on the material but is otherwise working well. 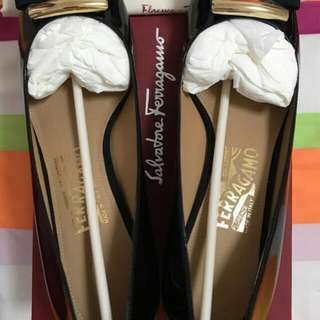 Comes with a carrying case. 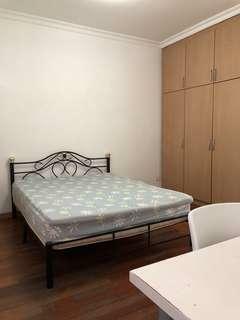 Size: 190cm (L) x 64cm (W) x 46cm (H) Collect in Serangoon Central. 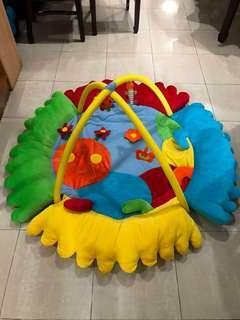 Gifting a baby play gym, kept in storage for a number of years. Other than the broken clips (which happened after photo taking), it’s in great condition. Collect in Serangoon Central. 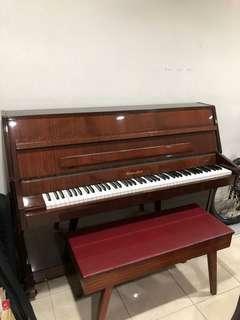 Giving away an originally owned piano in working condition. Tuning and servicing needed. Heater not included. Please arrange your own transportation, to be collected from Serangoon Central. 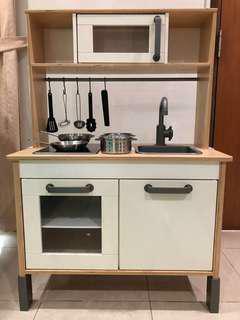 Selling a first owned, good as new set of a wooden IKEA play kitchen, a 5-piece toy kitchen utensil set and a 5-piece stainless steel toy cookware set. Collect in Serangoon Central. Note that the cooker no longer lights up, so there’s no need for batteries. This is pretend play anyway. 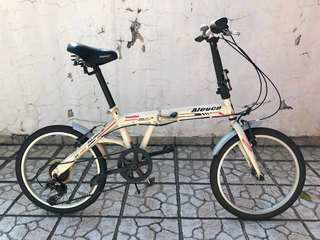 Selling cheaply a first owner, Aleoca 20” folding bicycle with 6 gears. Collect in Serangoon Central. Some cleaning needed as it was parked outside but seldom used. 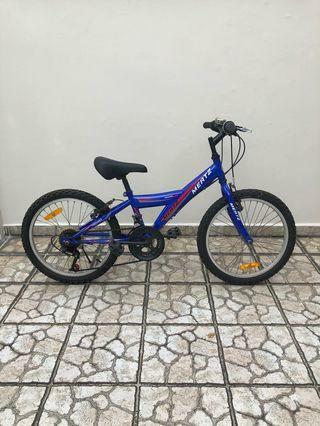 Still very functional and good as a “go market” or a “ride, park and MRT” bicycle. 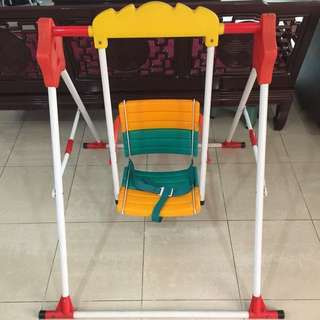 Toddler’s swing in excellent condition. 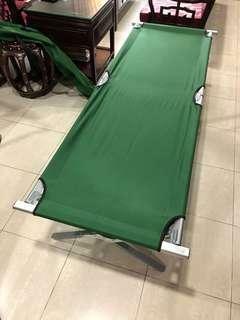 It can be folded up for storage.